World Partnerships, Inc. is a 501-c-3, not-for-profit organization (FEIN: 59-3651710). 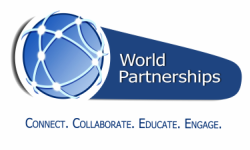 World Partnerships has a worldwide mission for educational, cultural, commercial and professional exchange with current and emerging global leaders. Since 2000 it has been the official Tampa Bay regional partner of the United States Department of State International Visitor Leadership Program (IVLP), the “crown Jewel” of United States diplomacy and America’s oldest public diplomacy and professional exchange program. US Ambassadors consider the IVLP to be the Nation’s most important foreign policy tool. Carefully selected by the US Embassy, delegates join IVLP “by invitation only’” from the US Ambassador. Twenty-five percent (25%) of the World’s Heads of States are IVLP alumni. Prominent alumni include: The United Kingdom’s Prime Minister Theresa May, former French President Nicholas Sarkozy, the late Egyptian President Anwar Sadat, and former Indian Prime Minister Indira Gandhi, and the former British Prime Minister, Baroness Margaret Thatcher. We have also partnered with the State Department for the Fulbright Visiting Scholars Program, the US government’s flagship international educational exchange program. World Partnerships has additionally been selected by State’s US Foreign Service Institute to host training programs for Foreign Service Nationals (locally employed US Embassy staff). World Partnerships is a unique global human network of 4,700+ New Generation leaders, our alumni partners in 189 countries. They are business and political leaders, journalists, pioneering women leaders, community organizers, policy officials, environmental activists and young entrepreneurs, all engaged in changing the world. Every day, World Partnerships connects people, ideas and projects through innovative partnerships, collaborative networks and long-term engagement that build a more peaceful, just and open world. World Partnerships connects and engages these leaders with our community, with our country, and with each other. Our work changes opinions, and impacts lives, here and around the globe. Headquartered in St. Petersburg, Florida, covering Florida's 8- County Tampa Bay region. Selected to host 4,700+ IVLP leaders from 189 countries over the last 19 years. World Partnerships has hosted over 1,700 journalists. Host for State’s most prestigious journalism project – The “Edward R. Murrow Program for Journalists” – bringing nearly 200 journalists in one program in 2015 and in 2016. Annual average 2,000+ hotel room nights. 35,000+ professional meetings conducted in the Tampa Bay community. Businesses, public officials, educators & students, media and civil society leaders. Won Florida’s first-ever “Fulbright Visiting Scholar Enrichment Seminar” in 2014. Selected host of US Foreign Service Institute (USDOS) training programs for US Embassy officials. Provide global education for 17,000 students annually at Enterprise Village. Connect college student interns with a unique global network of young leaders. World Partnerships, Inc. was established in 2000, and is headquartered in St. Petersburg, Florida. World Partnerships is a 501-c-3 not-for-profit organization under the US Tax Code (FEIN: 59-3651710). Contributions to World Partnerships are deductible as charitable donations for Federal income tax purposes. IRS Form 990 returns may be reviewed at www.guidestar.org.